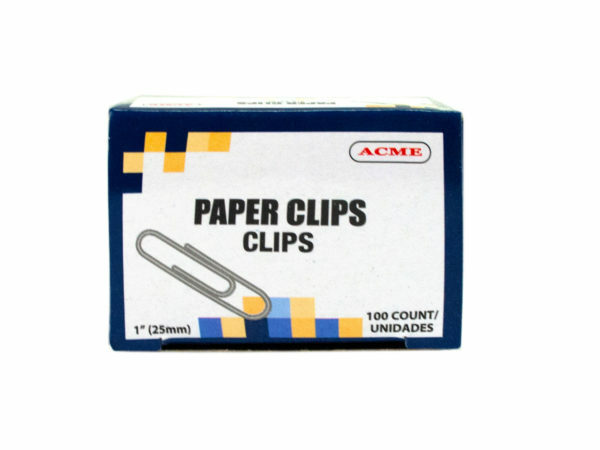 Keep your files together with these ACME 1" Paper Clips. The Paper Clips are strong enough to hold everything together and are perfect for securely attaching documents at work. These paper clips are perfect for home, school or office use. The paper clips are made of quality, sturdy metal with good grip. It has a smooth finish to ensure they won't get caught on other papers. The package includes 100 paper clips and comes packaged in a 2.25" x 1.50" box.